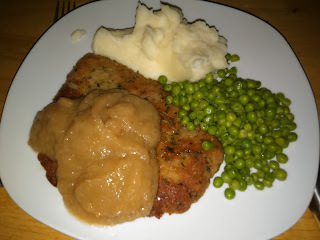 Breaded pork cutlet from Mitchell's. Apple sauce is my own home made. Mashed potatoes had salt, butter, sour cream and milk. Frozen peas with butter and black pepper. Simple but really good.